As we stare into the approaching 2019, approaching just around the corner, it is time to identify some individual and corporate goals for the next year. Without goals, a person and/or church, will often find themselves within arms reach of the exact same place they were the year prior. This is why goals are important. Goals allow us to identify weaknesses and short comings or areas we want to continue strengthening and spend the next 12 months working on them. The beauty of setting yearly goals is it becomes easy to recognize achievement or areas we are falling short compared to the year prior. As a pastor and human, I like to set goals that are both short and long term. Short term goals are things that I can achieve with less effort or time, while long range goals will take the majority of the year to accomplish, giving me tiers of things to work on. As far as institutions go, goals work in the same ways. In the past couple years Catalyst goals have included increasing giving to the Upper Peninsula Baptist Association and the Southern Baptist Cooperative Program. Last year, the biggest goal was completing the church constitution and bylaws and becoming a fully independent church and no longer a “mission” church of First Baptist Gwinn. Catalyst also began supporting a homeless shelter and other local efforts to reach our community, as well as getting a new church logo. Goals are important, so this year I want to challenge not only Catalyst folk, but all who read this to make your stand in the digital sphere by putting them out there for all to see and hold each other accountable. This is not for some late night Dec. swearing to lose weight, change job, be nice, or work less and have more fun. These are real goals. Read the Bible in its entirety. There are plans on the internet, in the front of Bibles, and on different Apps available on your smart phone. The reason having a plan is beneficial is people who decide to open their Bible in Genesis and just start reading, frequently peter out around Leviticus or Numbers and then never pick their Bible up again. If you use a structured plan it keeps you engaged and gives you small successes every day so the reader can see their progress. Expand your prayer time. Set a time requirement daily and the means to achieve it. 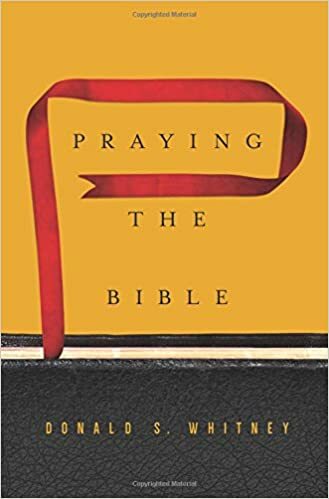 You might consider buying this book, https://amzn.to/2PTEvD0 and see how it impacts your ability to pray the set time. Another method is also by turning off your radio and praying while you drive. This can increase your prayer time quickly and improve your attitude throughout the day as the more time you spend with God, the less time you are thinking about yourself or others and getting sour. Read with your children daily. Begin working on your Christian library. Set a goal to read and expand your personal library of Christian authors and themes that not only allow you to expand your own knowledge, allow you to share this knowledge with others. Catalyst maintains a “Suggested Reading List” that goes back to 2015 with suggested books. If you cannot think of books to buy for your library, these suggestions can be a good starting point. Begin or increase your tithes to your church. If you are not regularly tithing already, set a goal to give regularly and often. If you are already tithing regularly, consider increasing the tithe and/or identifying Christian ministries that could use your financing for greater good. Share the Gospel at least once per week. Draw 52 small squares on a piece of paper and each time you share the Good News of Jesus with another, you fill in the square and can write the name of the person next to the square. At the end of the paper you can write down the known results if anyone becomes a believer. Join or begin attending regularly a Bible Study and/or Sunday School at your church. “Church” most frequently happens in these small groups because this is where relationships grow and friendships happen. Sundays are great, but seldom achieve the kind of “Christian” changes that happen within the small group setting. Find a local charity or ministry within your church and begin regularly volunteering your time. Churches are in desperate need for more volunteers to work with the different ministries. You would be a huge boost for either the church or the ministry. Find someone younger than you to mentor and set up regular times for meeting and discussions. For example 1-2 times per month. Find someone older than you who would mentor you with the same standards as above. Begin lifting weights, walking, running, swimming etc. with a tangible goal. If you have the gumption, place your goals in the response and set it in stone for the next year and challenge yourself to achieve something(s) for God.